A study in racehorses of a new botanical product for Equine Gastric Ulcer Syndrome has revealed the horses on the treatment averaged higher total dollar winnings than the horses on the placebo in the trial. Animal health company Jaguar, which specialises in gastrointestinal products, undertook the dose determination study of the target commercial paste formulation of Equilevia (formerly referred to as SB-300), a pharmaceutical formulation of a standardized botanical extract. The study enrolled 121 racehorses aged two or older who had been diagnosed with glandular and squamous gastric ulcers. The primary objective of the study was to select the minimally effective dose of Equilevia for the treatment of equine gastric ulcers in a future field study. 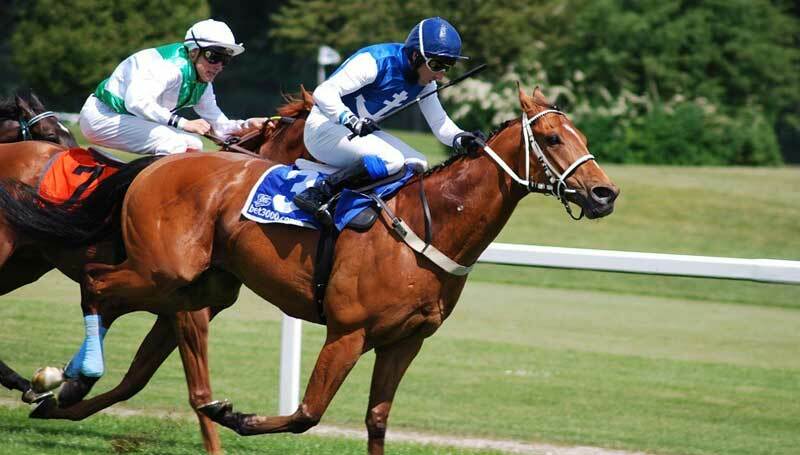 Researchers said that the horses being treated with Equilevia had higher average winnings as a percent of purse in races during the study treatment period compared with the period in which they raced before the study. When analyzing data according to whether or not a horse finished a race in the top 3 or in the top 5, there was also an improvement seen for horses treated with Equilevia during the study treatment period compared with the period in which they raced before the study. But horses treated with the placebo had a reduction in frequency of finishing in the top 3 or in the top 5 in the study period compared with the period in which they raced before the study. During the dose determination study, endoscopies were obtained at baseline, before treatment, on day 15 and finally on day 29 of treatment. A full analysis of the dose determination study data with scoring of squamous and glandular ulcers is awaiting an independent, blinded review by an equine veterinarian experienced in gastric ulcer disease, and is expected to be available in January. Review will include comparisons of more than one scoring system in order to identify the best means of assessing clinical improvement of both squamous and glandular lesions. Jaguar’s intention is to identify a scoring system that most appropriately demonstrates clinical change in both squamous and glandular ulcers, and the company plans to seek concurrence from the FDA’s Center for Veterinary Medicine (“CVM”) with regard to the selected scoring system. “We believe independent analysis of the endoscopy data from this study is highly important – both to ensure consistency of grading and to determine the most clinically relevant endpoint scoring system for our planned field trial,” said Dr. Roger Waltzman, Jaguar’s Chief Scientific Officer. As Jaguar announced this past January, topline results from its proof-of-concept study to evaluate the safety and effectiveness of Equilevia indicate that 78 to 89% of horses treated with the product, depending on dose, had resolution or improvement of glandular ulcers as soon as 14 days during treatment. It was also found that Equilevia did not alter gastric pH during treatment, or for 7 days after. A treatment for EGUS that does not alter gastric pH is important because maintaining low gastric pH may be helpful for digestion, for gut immunity and first line defense against pathogens, for the absorption of vitamins and minerals, and for potentially additional downstream effects. Data from the American Horse Council states that there are 9.2 million horses in the US, a population that includes 844,531 racehorses, more than 2.7 million show horses, and more than 3.9 million recreational horses. Data from the Food and Agriculture Organization of the United Nations indicate that there were about 5.7 million horses in Europe in 2013 and nearly 60 million horses in 2013 worldwide. According to a third-party 2005 study, as many as 55% of performance horses have both colonic and gastric ulcers, and 97% of performance horses have either a gastric (87%) or a colonic (63%) ulcer.